From left: Michaela Magro, Andrea Galea, Cristina Grech, Karla Naudi, Rachel Aquilina, Zack Borg, Nicole Chetcuti and Gabriel Melillo. Drink-driving is a serious problem in Malta nowadays, with accidents frequently happening throughout the year. On average, 15 people die on Malta’s roads every year as a result of collisions involving people who were driving while over the legal alcohol limit. 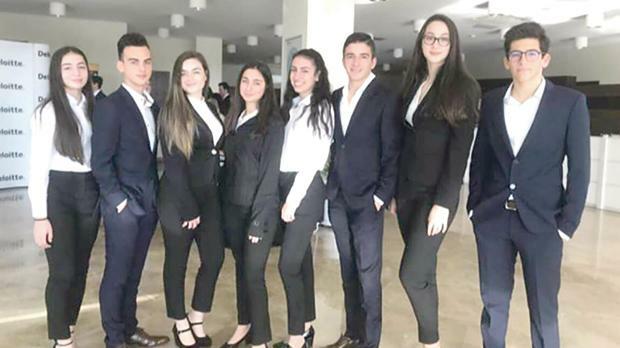 Exhale, a group of St Aloysius College students taking part in the Jaye Company programme are attempting to become game changers when it comes to curbing the problem of drinking and driving in Malta. Exhale are attempting to curb this problem by providing their customers with a personal and easily portable, high-quality breathalyser. This breathalyser will help raise awareness of the amount of alcohol in one’s system after having a drink. Exhale believes that upon seeing their actual blood alcohol level, people would make more sensible decisions on how to travel home after drinking, such as opting to take a taxi or bus home or car-pooling with someone who has not consumed alcohol. This will result in a reduction of accidents relating to drink-driving. Apart from the increased risk of accidents while driving under the influence of alcohol, if a driver is over the legal limit of 0.05 per cent Blood Alcohol Content (BAC) they are considered to be a drunk driver and so could receive a driving ban, a fine, a criminal record or could even face jail time. To give an idea of what 0.05 per cent BAC is, on average, two drinks in an hour would raise a person’s BAC to that level and one standard drink per hour would subsequently will maintain that level. As Exhale pointed out, the body requires a number of hours to eliminate alcohol. So a driver could still be over the legal limit the following morning after having spent an evening out drinking, making it also important to check one’s alcohol level hours after consuming alcohol. The breathalyser that Exhale are providing is reusable and very simple to operate. It is also very highly portable as it is pocket-sized and has a keychain attached, all while giving highly accurate readings of one’s blood alcohol level. This device is simply operated by powering on, blowing in the given mouthpiece for less than 10 seconds and reading the results. One can purchase the breathalyser by contacting Exhale on their Facebook page or by e-mail on exhalejaye@gmail.com.